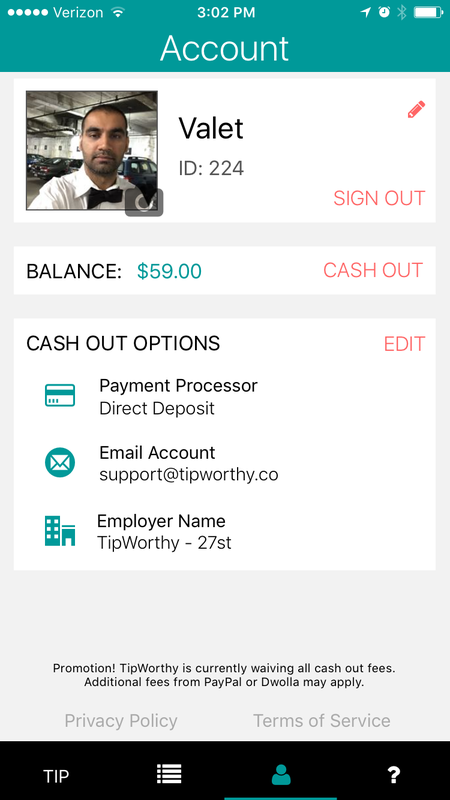 TipWorthy lets you leave a tip when you don't have cash. 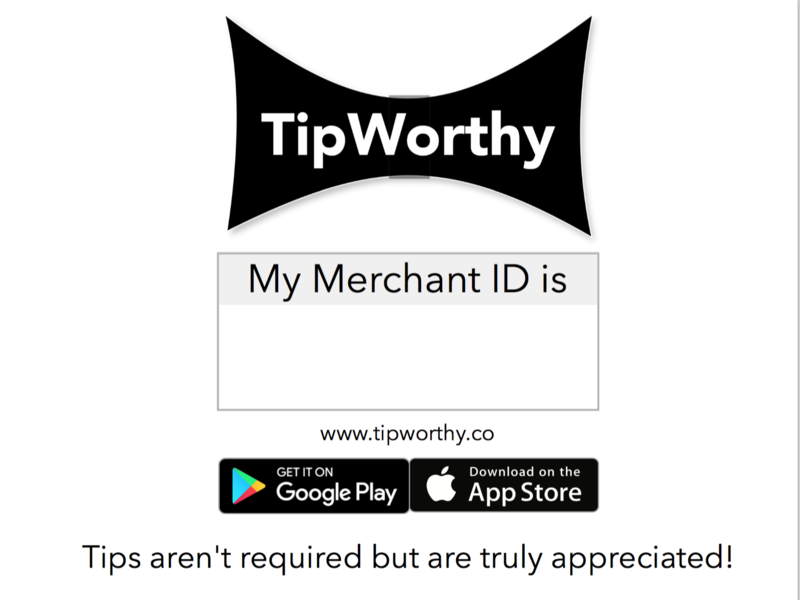 TipWorthy is available on iOS and Android! Download now to get started! That awkward moment when you don't have cash in your wallet to tip someone? 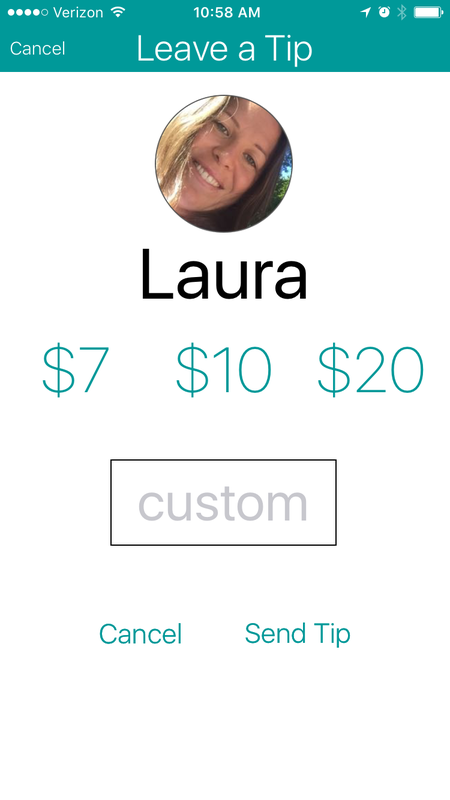 Sign up, add money to your balance, leave a tip and walk away with some pep in your step. Transactions powered by Braintree, a PayPal company. 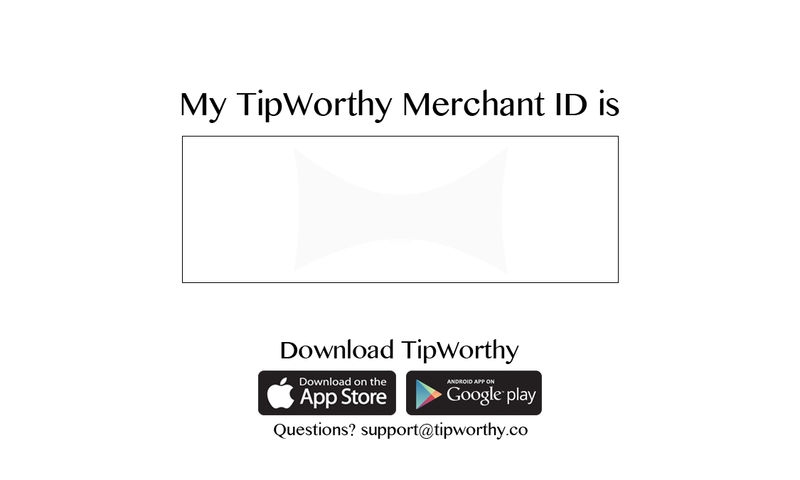 You will never have to worry about having cash or exact change to tip for great service again. Are you a service provider? We offer easy payouts to PayPal or your bank account. For tippers, there is a small convenience fee. 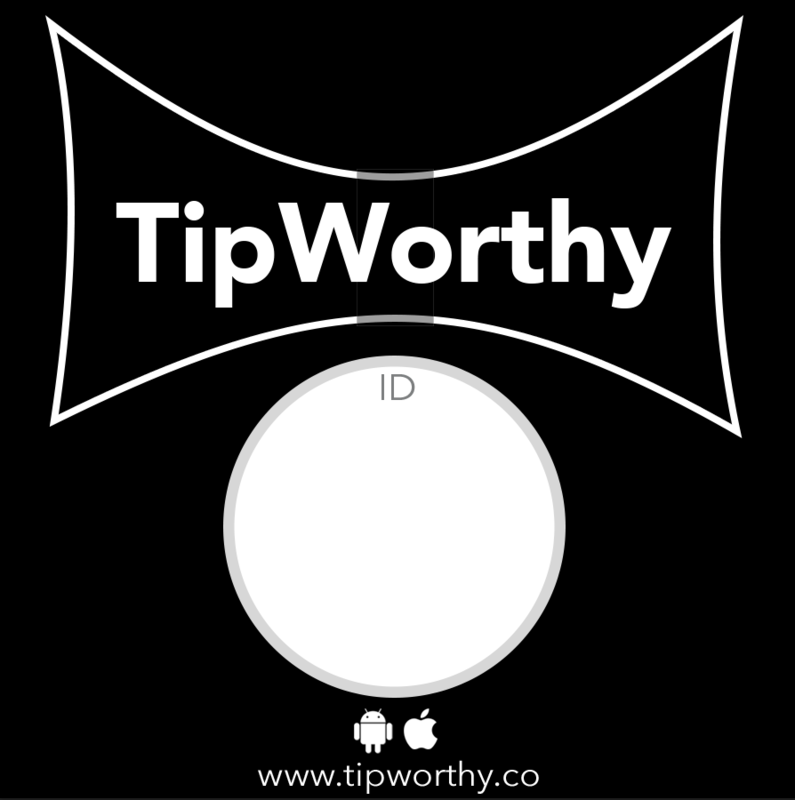 TipWorthy is available in the Apple app store or Google Play. Order signs, business cards and stickers today! © 2016 Bad Mamu, Inc. All Rights Reserved.